This December I’m helping to run, and selling at, an alternative geeky-themed Christmas market called Have Yourself A Very Geeky Christmas. I showed you some of the wonderful things you’ll be able to buy in this post! But I thought it was time I shared some of the new products I’ve been making and drawing for my own stall! In addition to the Harry Potter House postcards and pocket mirrors, and the Marauders badges that I sold at LeakyCon London, I’ll bringing a selection of brand new Doctor Who themed postcards and badges to sell on 7th December. In keeping with the all creatures ‘Great & Small’ aspect of my business, I’ve chosen to illustrate some aliens. Some cute aliens. 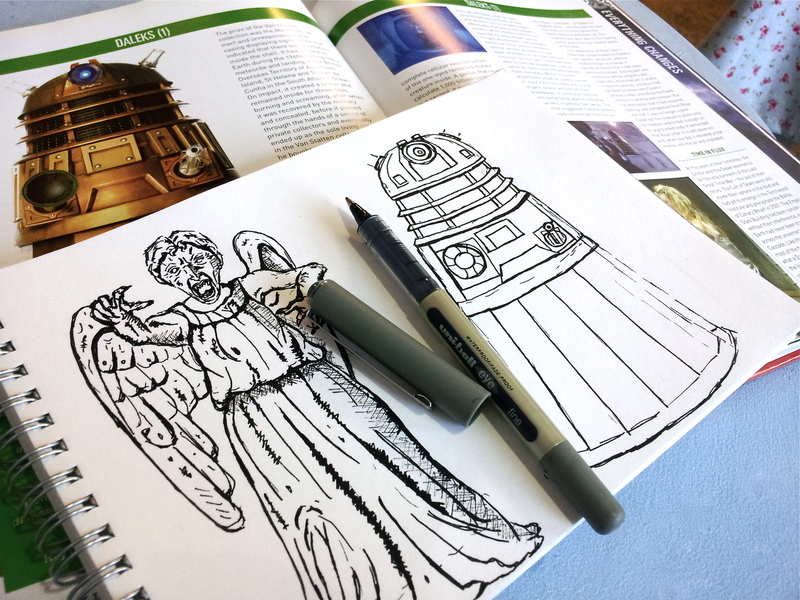 I found it a bit of a challenge as Weeping Angels are essentially people, and Daleks are robot-esque, both things that I usually avoid drawing like the plague, but I’m quite pleased with how they’ve turned out. 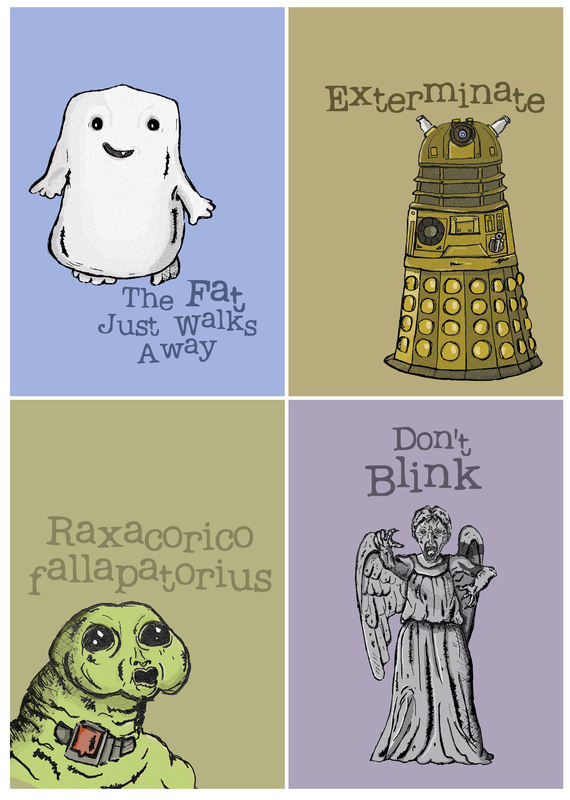 There’s four different designs; an Adipose baby, a Dalek, a Raxacoricofallapatorian and a Weeping Angel. I really hope you like them and that you’ll be coming along to Have Yourself A Very Geeky Christmas! ← Last Posting Dates & A Weekend Treat!